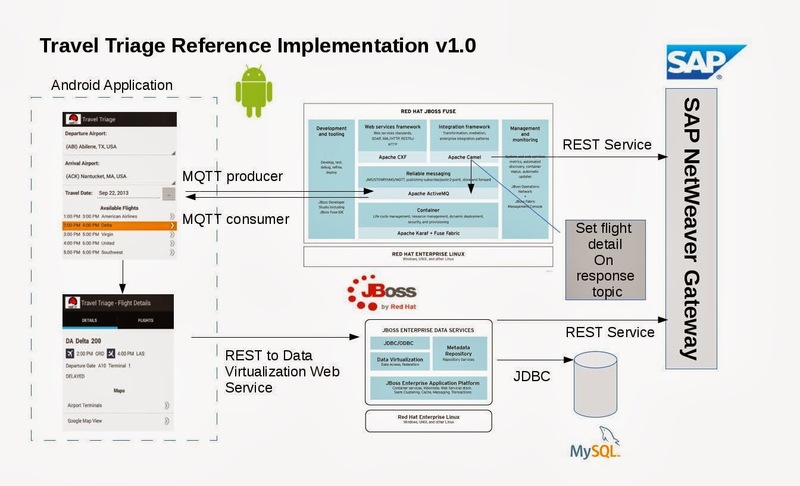 This week we ran a workshop regarding the SAP NetWeaver Gateway and Red Hat JBoss Fuse and Data Virtualization. We gave an overview of the products and a demonstration as well. Look for the link to the video in the future in addition to more detail on the travel triage demonstration. Red Hat JBoss xPaaS services for OpenShift by Red Hat provide a rich set of enterprise application, integration and business process automation capabilities and services in an extensible open PaaS platform, and is uniquely positioned to enable accelerated development and deployment of next-generation enterprise applications and business processes in the cloud. 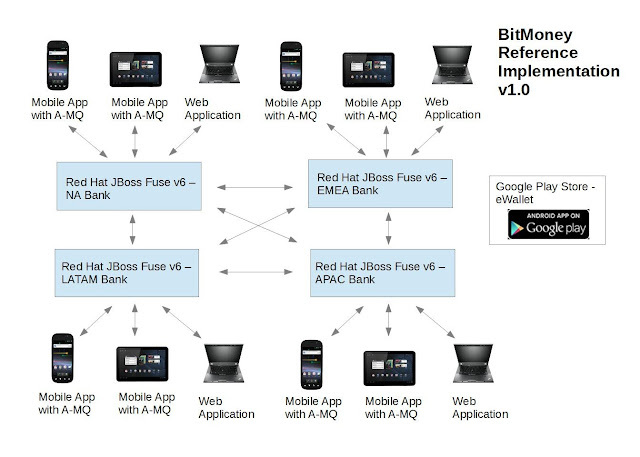 Our focus in this article is setting up and demonstrating the use of Red Hat JBoss Fuse 6 and MQTT to communicate between Fuse and Android. 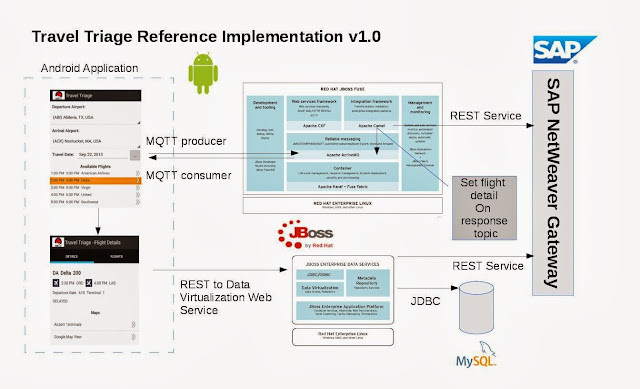 Messages are routed between Fuse instances using MQTT Topics and Beans as well as utilizing Spring and Camel. Presentation and Demonstration Videos will be published as well. Download the software necessary to run the application. Installation instructions are below. Step 1. Run the FuseIDE if it is not open You can install the Android Connector for Maven via the Eclipse Marketplace. Step 2. Select Help -> "Install New Software..."
Name: org.sonatype.tycho.update Location: http://repo1.maven.org/maven2/.m2e/connectors/m2eclipse-tycho/0.6.0/N/0.6.0.201207302152/ . Step 6. search for "m2e". Step 4. edit jre.properties make the modifications described in "Modify jre.properties"